No, myMEGusta is not referring to Fifty Shades of Grey. The next edition of Joy of Cooking will have an enhanced section on how to whip cream, because the 21st century readership hasn’t a clue as to how to make it. Even in the 80s, I remember people being impressed and stunned when the heavy cream and a wire whip came out, something they’d seen only TV. More recently, in an Orlando, FL restaurant, two nearby diners were overheard talking about some hostess having freshly whipped cream with dessert, something neither had ever tried to make. It ain’t rocket science. You start with heavy cream and you put it in a bowl and whip it. 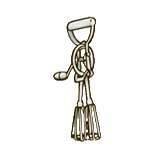 My mother, whose cooking skills were dubious, made it with one of those old fashioned eggbeater tools. Little electric hand mixers work just fine, too. I prefer a wire whisk, or for larger quantities, the whisk attachment on the electric mixer. A little sweetening is fine, or other flavorings such as chocolate, but I prefer mine straight. 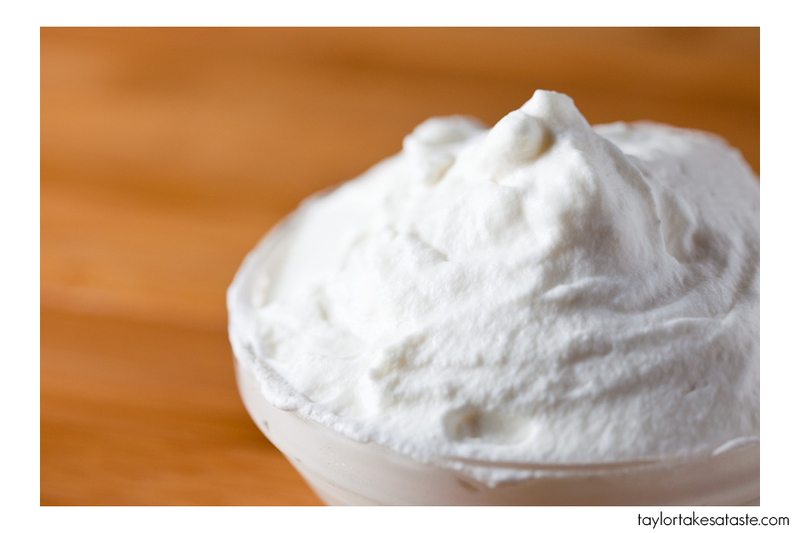 When heading out to a picnic, put the heavy cream in a tight jar, keep cold until dessert time, then shake it. Voila, the miracle of whipped cream. While I could be perfectly happy with a bowl of whipped cream and a spoon, most normal people prefer it as a garnish, or in combination with other foods. 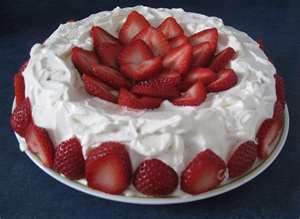 Strawberry whipped cream cake is one of the easiest and most delicious treats when succulent local fruit is in season. The German phrase “Mit Schlag” is a mainstay in Vienna. 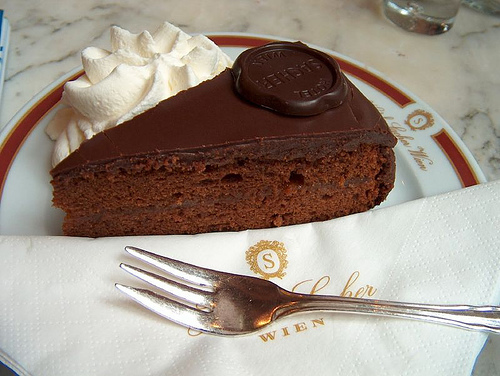 The famous Sacher torte is a little on the dry side, because the dollop of whipped cream added at the end is an intrinsic part of the dish. 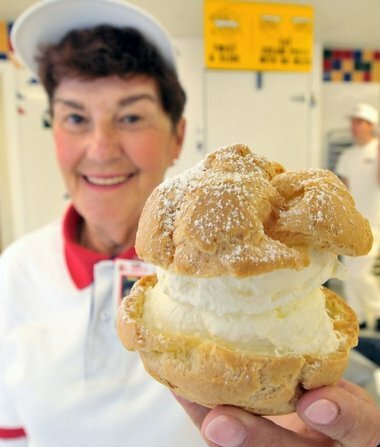 The crowning glory of whipped cream is made from crème fraiche, a slightly fermented, high butterfat cream you’ll find everywhere in France, and in gourmet shoppes here. Mousseline is another delicacy. Featured in many French desserts, this is simply pastry cream into which some whipped cream has been folded in. This is not to be confused with Sauce Mousseline, hollandaise with whipped cream. One cautionary note: One of the first signs of spoilage in heavy cream is that it won’t whip up. If your heavy cream is refusing to morph into lovely cloud after a reasonable amount of beating, you should consider tossing it out. one look at it and told him I would not eat it as the “whipped” cream was Ready-Whip! I told him I would not touch it and why in a rather stentorian voice. restaurant is no longer in existence. Perhaps that is one of the reasons why!